Aquamax has been producing reliable and top quality hot water systems for many years and is one of the most popular brands on the market. Aquamax produces a range of electric storage, gas storage and gas continuous flow hot water systems to suit just about any household. All Aquamax hot water systems are proudly manufactured in Australia. One of the most popular Aquamax hot water systems is the gas continuous flow hot water system. This hot water unit comes with an impressive 6 star energy rating, helping you save on both gas and electricity bills. Unlike conventional storage hot water systems that hold heated water 24/7, the continuous flow hot water system only heats water when required to help cut down on energy usage. Its compact size, means the Aquamax continuous flow is ideal for smaller homes or apartments where space is an issue. These small hot water units can be discretely mounted on the side wall of your home and are designed to take up minimal space. Aquamax manufactures two models of electric hot water systems. The vitreous enamel hot water systems are suitable for all water quality types and come with a 5-7 year warranty. Whereas the stainless steel models are designed to be 50% lighter and are ideal when your hot water systems needs to be installed up high. These lighter stainless steel water heaters also come with an impressive 10 year cylinder warranty so that you can rest easy knowing you’re covered should anything go wrong. Click here for more information on these two electric systems. With so many different brands and models of hot water systems, it can be difficult to ascertain what type of unit is best for you. There are a lot of things to consider before purchasing a hot water service such as whether you are requiring a gas, electric or solar, what sized unit and what hot water system is compatible with your pre-existing pipework. It pays to get professional advice when making a decision to ensure that you receive the right hot water system for your home. If the cost of a new hot water system seems daunting, ask about our interest free payment options through Certergy. This way you only need to pay a small deposit on the day and can pay off the majority of the cost through affordable installments. Metropolitan Plumbing is open 24/7. We also offer within the hour call outs for customers with urgent plumbing concerns and arrive onsite with a large range of parts and fittings to complete the job there and then. If you are looking at installing a new hot water system, call Metropolitan Plumbing on 1300 367 333 for expert advice and workmanship. 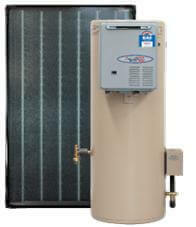 We have years of experience working on all makes and models of hot water systems whether it be gas, electric or solar. In the event that your hot water system needs replacing, we can provide you with an onsite quotation for its replacement. Our plumbers will help you select a unit that is ideal for your household and ensure you are 100% satisfied with our service. © Metropolitan Plumbing 2019. All Rights Reserved. NO INTEREST EVER! * PAYMENT PLAN, *Continuing credit provided by Certegy Ezi-Pay Pty Ltd. Fees (including Establishment Fee, Monthly Account Keeping fees and Payment Processing fees) charges, terms, conditions and lending criteria apply.